Bay Area traffic has everyone searching for answers and Contra Costa County may have it. The county is looking into allowing buses and carpoolers to drive on freeway shoulders during rush hour in hopes of diminishing bumper to bumper traffic. Buses driving on freeway shoulders is successfully being done in Minnesota and a pilot program just wrapped in San Diego but for Bay Area residents, the idea sounds dangerous. Contra Costa Transportation Authority Executive Director Randell Iwasaki said there are solutions to keep everyone safe. "They have technology imbedded in the vehicle to make sure they can see ahead of them," he said. Iwasaki has been working with the California Transit Association along with the Valley Transportation Authority to bring what is called the bus on shoulder concept to the Bay Area. Heavily congested areas like Highway 87 through San Jose Highway 101 along the Peninsula, Interstate 280 in San Mateo County and the Bay Bridge are a few of the areas being looked at. "The buses will save time and stay on schedule and hopefully it will provide an incentive for people to use buses along that corridor," Iwasaki said. 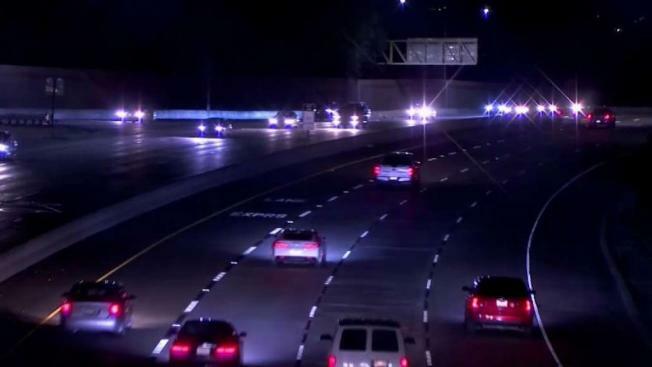 A proposal like this isn’t cheap, the 13-mile bus shoulder conversion in Contra Costa County could cost more than $30 million, but adding a lane on a freeway could cost up to a billion and could take 20 years. "This technology has been tested in other parts of the United States and has worked very well," Iwasaki said. Transit agencies may have to seek statewide legislation to make this happen, but a pilot program could happen in Contra Costa County in two years.